Jeepney, a popular means of public transportation, is a vehicle in the Philippines that is known for its colorful design and flamboyant ornaments. But in New York, Jeepney is the newest Filipino restaurant that is taking everyone by storm! A few months ago, the East Village welcomed another Filipino restaurant into the neighborhood. Although this is a family-style restaurant, serving large dishes that are meant to be shared, Jeepney is also made to be a "hang out spot" offering drinks and delicious Filipino bar food. If your craving something sour and salty or you just want a "home cooked" Filipino meal, Jeepney is definitely the place to be! P.s Be sure to order their Longga dog!! Longga Dog - Longganisa sausage, bagoong mayo, atchara, garlic crumbles in a hot dog bun. 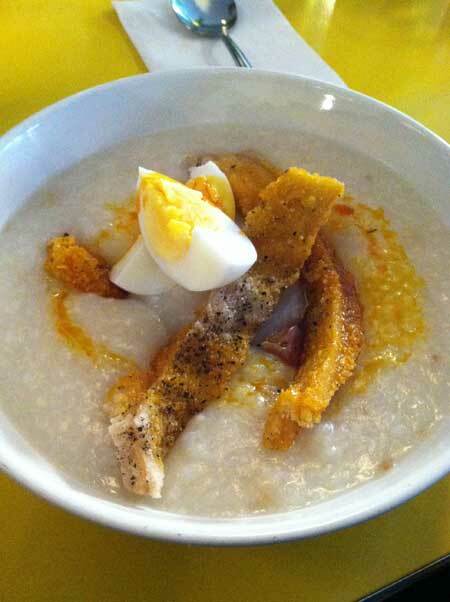 Arroz Caldo - Ginger and garlic scented rice porridge garnished with hard boiled farm egg, achuete butter and fried tripe. 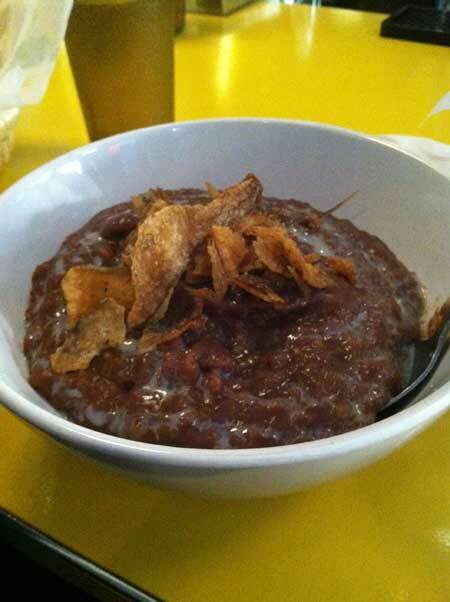 Champorado (Chocolate porridge): Tsokolate rice pudding with jeprox fish. Garnished with condensed milk.